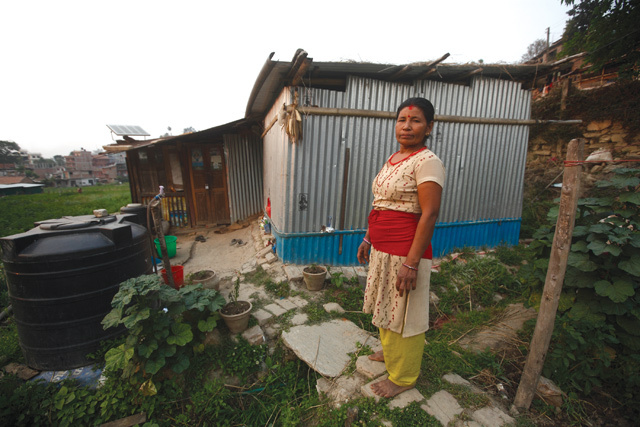 HOME: Since losing her home in the earthquake last year Nirmala Shrestha and her family have been sharing this rickety shelter in Bungamati. The municipality denied the Shrestha family a permit to rebuild their home in its original location because of a proposed road-widening plan. Made homeless during the 25 April earthquake last year, the 48-year-old resident of Bungamati very nearly lost her home again. She has been living in this rickety shelter in her tiny farm on the southern outskirts of Patan for the past year. With no money of their own, and no help from the government, the family wanted to rebuild using salvaged material, but the municipality would not grant them a permit because of a proposed road-widening plan. Prime Minister K P Oli launched the government’s rebuilding campaign amidst much fanfare and speeches in Bungamati in January. But there is no sign of any reconstruction here. Like many across the 14 earthquake affected districts, families here have got little else besides the Rs 15,000 emergency grant last year. The Reconstruction Authority has started giving out the first installment of the Rs 200,000 rebuilding grant, but only in Dolakha district. “We don’t live in the houses that were destroyed, but are still asked to pay for the electricity, water, phone bills. If we don’t, they say they will not provide us with any when we rebuild,” says Ratna Man Maharjan, also a resident of Bungamati. Having lost his shop along with his house, he is operating from a makeshift one close to his temporary shelter. Across the Valley in Sankhu, another historical town flattened by the earthquake, residents are desperate to move into more permanent structures, but will probably have to rough it in flimsy huts for at least another year. 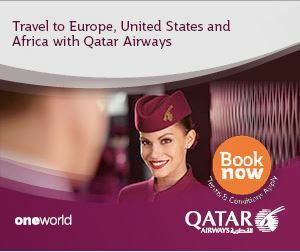 “Who wants to live in a place infested with mosquitoes and flies? Why don’t they just give us the money so we can start building?” asks Sanu Laut who has a seven-year-old daughter and a diabetic husband. They sold their tractor, but all the money went into paying her husband’s medical bills. In Bhaktapur Narayan Man Bijukchhe of the Nepal Workers and Peasants Party has been pressuring Prime Minister K P Oli and the Reconstruction Authority to hand over responsibility for reconstruction to local bodies. 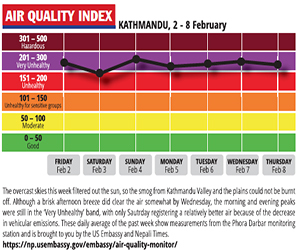 In fact, this is the only part of Kathmandu Valley where the government has been proactive in rebuilding heritage sites and fallen neighbourhoods. 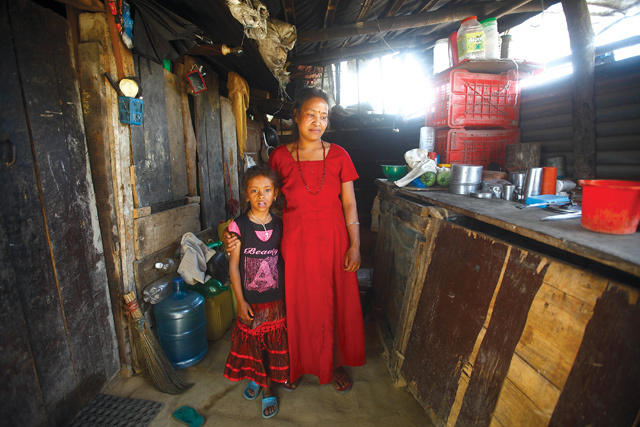 Sanu Laut and her seven-year-old daughter inside their flimsy hut in Sankhu. The family is desperate to move into a more permanent structure, but don't have the money to build one. After blistering criticism for its inaction, the Reconstruction Authority this week lifted the ban on voluntary groups from rebuilding. “The move will certainly speed up the process of reconstruction,” said Aanand Mishra of creasion.org which has helped rebuild four permanent schools in Dhading, Nuwakot and Sindhuli. The organisation is also building 55 model homes in Lalitpur. Earlier, the Authority had justified the ban citing the need for regulation and coordination, but was under pressure from survivor families as well as NGOs to be less of a hindrance. But many in Sankhu and Bungamati are now so desperate they won’t wait for government permission or money. “I went ahead after I got an informal permission from the municipality. Besides, what is the point waiting for those two lakhs, it won’t even pay to rebuild a room,” says Manoj Shakya, 51 in Bungamati. It is too early to get excited about the budget.